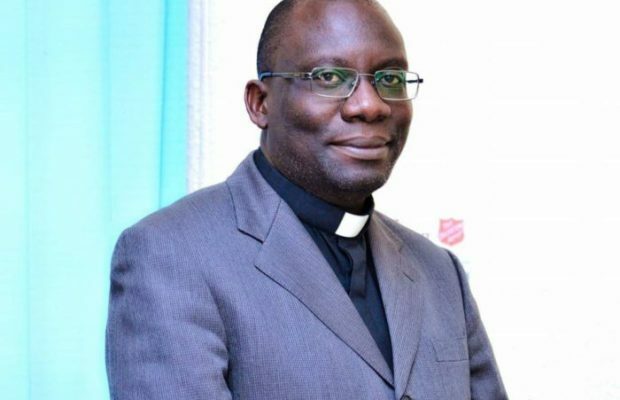 Council of Churches in Zambia Secretary General Father Emmanuel Chikoya says unlike Zambia Centre for Inter-Party Dialogue, the Church has the capacity, manpower and resources to lead the dialogue process. And Fr Chikoya says it is regrettable that the Commonwealth has been kicked out of the dialogue process when a lot of resources have been wasted. In an interview, Fr Chikoya said the church did not welcome President Edgar Lungu’s suggestion that dialogue talks should be led by ZCID, arguing that the centre is ill-equipped. “I think from our perspective as the Church, before even the Commonwealth came in, you’d recall that the Catholics have been going back and forth between the President and HH, trying to negotiate and inculcate that spirit of dialogue. It has been our position as the Church that we are the only people that have got authority over the issues of dialogue. People may like it or not but there is a track record to that effect. From the transition of the one party state, the President then Dr Kaunda and Dr Chiluba who eventually became President, it was superintended over by the Church through and through, sometimes visibly and other times privately. The Church has always been active to bring the different stakeholders in Zambia together,” Fr Chikoya said. He said all political players respected the church, making it the best choice for leading talks. “Our strong appeal to our different stakeholders is that the Church has always been the only alternative when it comes to issues of dialogue among political parties because we are able to be respected by both parties. People may make whatever comments they make about the Church but deep down their hearts, they know that they need the Church and the Church is a critical stakeholder, we are the only ones who are qualified to handle these talks,” he said. Fr Chikoya observed that political players were playing games with each other by putting up unnecessary road blocks to the dialogue process. “I think these road blocks are unnecessary. What we need is to move away from what you would call transactional leadership where people are only interested in what they can get. I think our political leaders must begin to move away from that attitude of always thinking ‘how much do I give up and how much do I gain? It’s about how much does Zambia gain, how much do we make this country better? That is critical. So we should move from transaction leadership to transformational leadership. Transformational leaders don’t just think about things that may be beneficial to them but some of them do even give up something that can be legally entitled to them. For example in the transition of the 1991 elections, the term of office for the President then was still a year or two to go but he was able to say, okay the interests of Zambians and looking at the signs of time, we will have the elections and that way a transition happened,” Fr Chikoya said. Meanwhile, Fr Chikoya regretted that the Commonwealth had been kicked out of the dialogue process when the organization had wasted a lot of resources. “Coming to the Commonwealth, of course it’s regrettable that resources have been wasted because people have been traveling, engagements have been made, even us as the Church, we’ve been consulted. Every time the team has come, we’ve always been part of the consultation process. Of course at times someone else would facilitate or provoke you to think about something but we’ve always emphasised even during our engagements with Commonwealth that yes thank you for the facilitation but we’ve always believed that the process that is sustainable should be owned by the Zambians and must be driven by the Zambians. But that does not mean that somebody cannot facilitate, facilitating is not really like taking control of the process,” said Fr Chikoya.